We are the Global Leaders in Manufacturing, Exporting Physics Laboratory Equipments & Instruments. S K Appliances deals in All these Physics instruments, He- Ne Laser, Zenner Diode, Thyratron Valve, Bar Pendulum, Optical Bread Board, Triode, Ballistic Galvanometer, Inertia Table, Bifilar Suspension, Vernier Caliper, Screw Gauge, Diesel Engine ( 4 Stroke ), Lee’s Apparatus, Petrol Engine ( 4 Stroke ), Sonometer, Young’s Module Apparatus, Newton’s Law of Cooling, Moisture Meter – Wood, Capacitance & Resistance Box, Power Supply & Transformer, Microprocessors, Sound Level Meter, Digital IC / Memory Tester, Hooks Law apparatus, Ohm’s Law, Voltameter, Ammeter, Desauty / Weins / Anderson / Maxwell Bridge, Semiconductor Devices, Galvanometer, Surface Tension Apparatus, Optical Bench, Cantileve, Ring & Ball Apparatus, Vibration Magnetometer, LCR Resonance Apparatus, Searl’s Apparatus, Semiconductor Device, Capacitance Box, Lee’ Apparatus, Decade Inductance Box, AMMETER DC with Desk stand, Ammeter Ac With Desk Stand, Meter Desk Stand, Panel Meters Dc (Without Desk Stand), Aneroid Barometer, Astronomical Telescope/terrestrial Telescope With Tripod Stand, Balance Physical (Cap 250gm),aneroid Barometer,ballistic Galvanometer, Bar Magnet Alnico Make, (Parco/ Economy Type), Ring Magnet / Disc Magnet, Bar Pendulum (Compound), Bar Pendulum Stand (Metallic), Barton’s Horizontal Apparatus or (Torsion Apparatus) Searl’s Pattern, Barton’s Vertical Apparatus or (Torsion Apparatus), Battery Hydrometer, Bell Experiment Apparatus (Bell in Bell Jar), Bending of Beam Apparatus (Iron), Bending of Beam Apparatus (Koening’s Method), Bifilar Suspension Arrangement (Iron), Bi-metal Strip, Bi-prism (Freshnel's), Bob With Hook, Bob Set of 6 Metals, Boyle's Law Apparatus, Brass Wire, Bucket & Cylinder, Bunsen Photometer, Cornu’s Method (Complete Setup), Anderson's Bridge, Callendar & Griffith’s Bridge, Crompton Potentiometer Bridge, Carry Foster Bridge, De-sauty Bridge, Hay Bridge, Kelvin Bridge Student, Kelvin Double Bridge, Maxwell Inductance Bridge, Owen Bridge, Rayleigh’s Bridge, Schering Bridge, Wheatstone Bridge (Portable), Weins Bridge (Frequency Measurement), Weins Capacitance Bridge, Calcite / Quartz Prism, Callendar & Barnes Apparatus, Candle Holder, Carbon Rod, Electro Magnetic Kitesistance, Linear Air Track Apparatus, Wimshurt Machine, Electro Magnetic Kit, Dynamic Trolley, ‘g’ by Free Fall Apparatus, Zeeman Effect (Complete Experiment Setup), Zinc Metal Granular, Z-pulley, Wooden Cube/ Cylinder/ Sphere, Wire Gauge Screen, Worchester Kit, Wind Wane Wooden Block With Hook, Weights of Physical Weight Box, Weight Box, Wave Motion Machine, Water Voltameter, Water Level Apparatus, Wheel & Axle Model, Voltic Cell, Viscosity Apparatus, Vernier Calliper, Vande Graf Generator, Variac/ Dimmerstate/ Auto Transformer, Triple Beam Balance, Torsion Pendulum, Travelling Microscope, Ticker Tape Timer Apparatus. S.K. Appliances is a trusted name in the industry established with an objective to be recognized as one of India's leading Manufacturers, Exporters , Traders and Suppliers of high quality Laboratory Instruments , Scientific Equipments and Laboratory Glassware under the SLISCO BRAND NAME ( Scientific Laboratory Instruments for School and College ) .We “S.K. 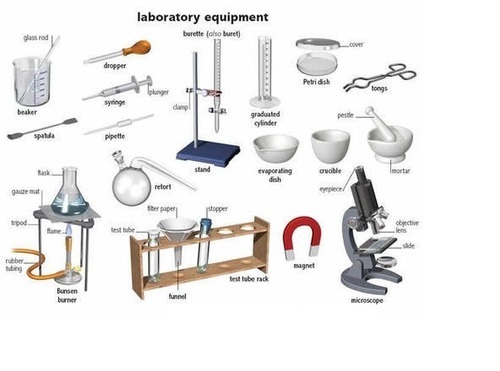 APPLIANCES” engaged in manufacturing, exporting and supplying of Biotechnology Laboratory Equipment, Pharmacy Laboratory Equipment, Laboratory Glassware, Compound Microscopes, Biology Laboratory Equipment, etc.Known for their features like durability, high performance, perfect finish, easy to use and less maintenance, these products are highly demanded in the market. Our products are well known with SLISCO brand name in the market. We are exporting our products in USA, Middle East, Europe (France, UK, Spain, Germany, Portugal etc. ), South Africa, Malaysia, Thailand resulting in healthy understanding of each market and satisfied every need of our esteem clientele. we are manufacturer & Exporter in India for Scientific Laboratory Equipments , Glassware , Plasticware Teaching Models & Charts, Testing and calibrations Instruments for School, Civil Engineering Lab , Mechanical Engineering Lab, Chemical Engineering Lab ,Electrical & Electronics Engineering Lab, Automobile Engineering Lab, Fire Technology & Safety Engineering Lab,Bio Medical Engineering Lab,Textile Engineering Lab, Environmental Engineering Lab ,Biotechnology Engineering Lab ,Biotechnology Lab , Pharmaceutical Lab , Micro Biology Lab ,Zoology Lab,Botany Lab ,Chemistry Lab ,Biochemistry Lab ,Physics Lab, Para Medical Lab, Polytechnic Lab,ITI Lab ,Blood Bank Equipments, Sterilization Equipments,Lab Water Solutions,Clean Room Equipments,Hydraulics&Pneumatic,Laboratory Balances & Scales,Agriculture Lab Equipments,Thermometers & Hydrometers,Optical Instruments,Milk and Dairy Instruments, Plant Pathology Equipments,Entomology Instruments,Oil & Petroleum Equipments, Lab Heating Equipments, Lab Cooling Equipments,Analytical Instruments . Scientific Instruments, Laboratory Equipments, Science Lab Instruments, Educational Trainers,Electrical & Electronics lab Training Modules & Kits, Technical Education Training Equipment, Heat and Refrigeration Instruments, Clean Air Systems,Educational Scientific Equipments for School,Laboratory Equipments have manufacturing process capability to produce lab equipments as per MOE Tender Specifications. Pharmacology Laboratory Instruments, Pharmacology Laboratory Instruments Exporters , Pharmacology Laboratory Instruments India, Pharmacology Laboratory Instruments Manufacturers , Pharmacology Laboratory Instruments largest Exporters, Pharmacology Laboratory Instruments supplier.Scientific educational lab equipment manufacturer and exporters of School Scientific Equipments, Laboratory Instruments and Educational Scientific Equipments.Educational Lab: School Educational Lab, Science Educational Kits,Higher Science Educational Instruments.Laboratory Apparatus,Science Educational Exporters, Physics Indian Scientific Dealers – Chemical Equipment Exporters. Educational Instruments, Biotechnology Instruments and many more, Agricultural Lab Rice Lab Equipment, Seed Lab Equipment, and Seed Processing Machines,Counters, Fruit Testing Equipment.